Hello everyone! I hope you are having a lovely Saturday evening. Each Saturday I am posting a new Smoothie Saturday Recipe that my family loves. We have a long list of beloved smoothies that I thought would be fun to share! 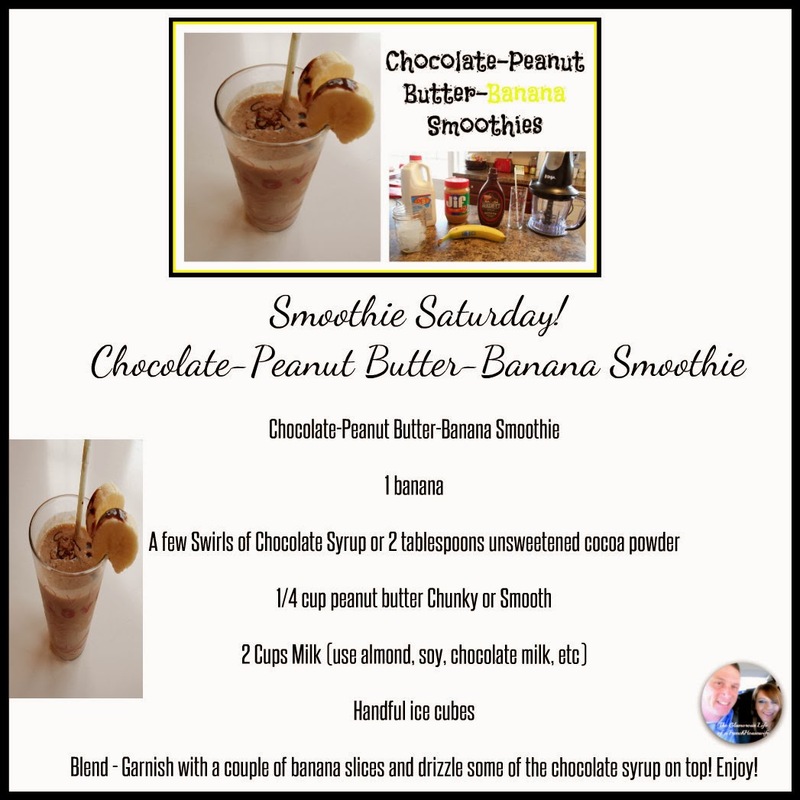 Today's smoothie is a total favorite in my home - Chocolate - Peanut Butter - Banana Smoothie! Its really good!! Everything you need to know is in the video and below you will find more pictures and the recipe. Hope you enjoy! Remember the more ice you add, the thicker it will be! What is your favorite Smoothie Recipe!? 2 comments on "Smoothie Saturday! 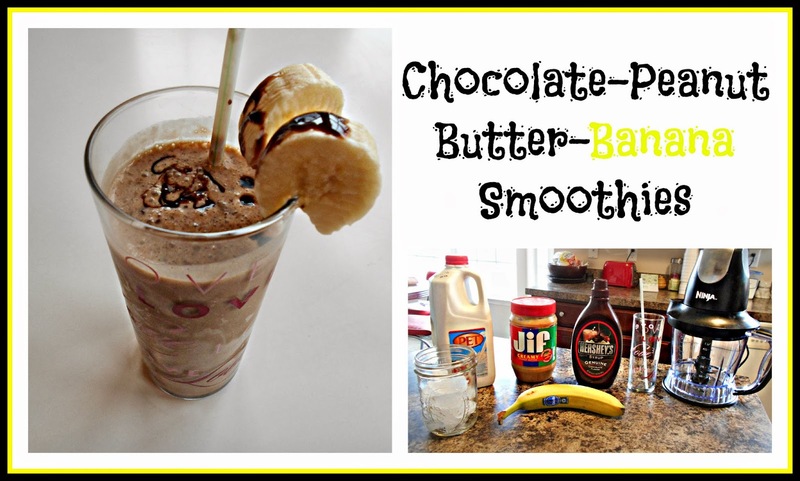 Chocolate Peanut Butter Banana Smoothies - VIDEO - "
Ok this looks super delicious and I will have to try this out. Love it. Love the glass.